Fluid responsiveness has been all the rage in emergency and critical care medicine. Trying to determine which patients will benefit from fluids or how much fluids is a daily struggle for providers. 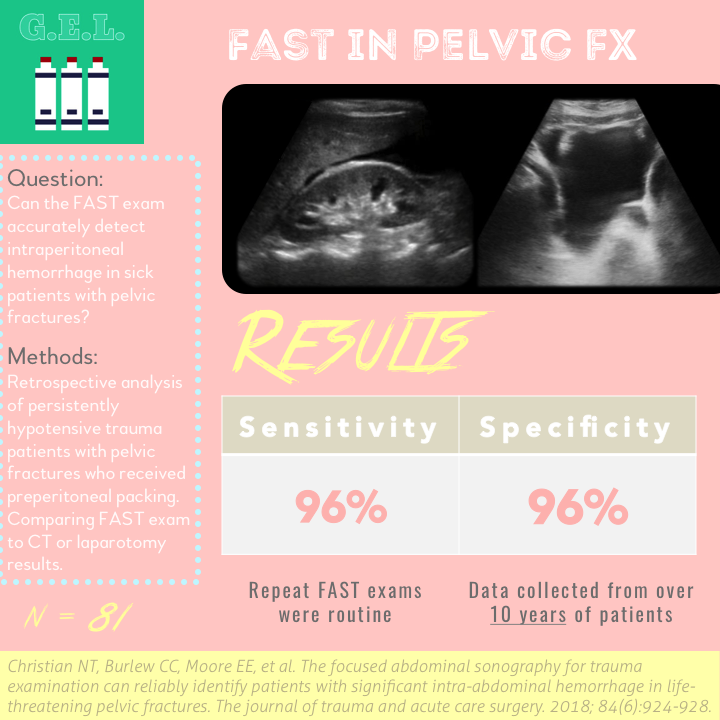 However, every new measurement or technique to quantify a patients possible responsiveness to fluids has been riddled with problems. Is carotid flow time, the holy grail that we have been waiting for? 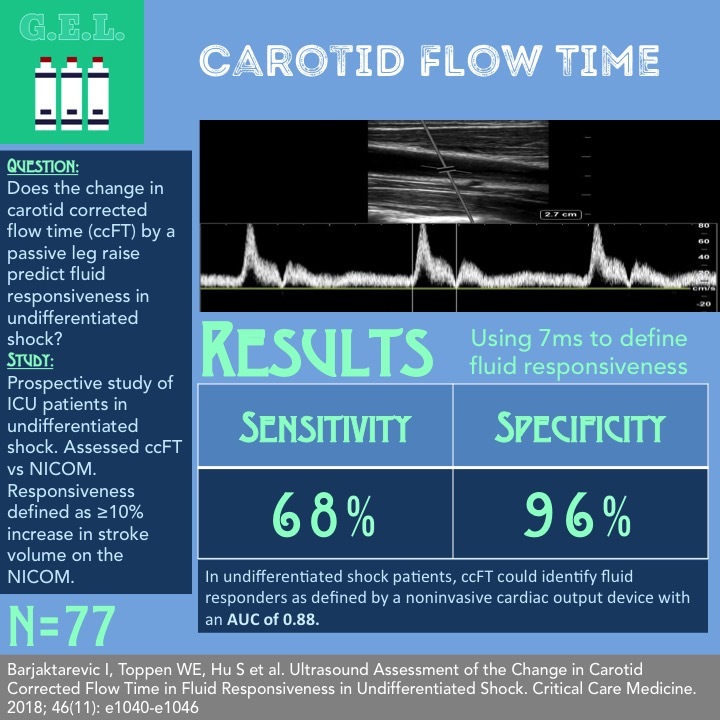 This study dives into the use of carotid flow time in an ICU patient population and attempts to answer if flow time can predict fluid responsiveness. Speckle tracking? Is that the technology that the government uses to mine data from your phone?! No - totally different! 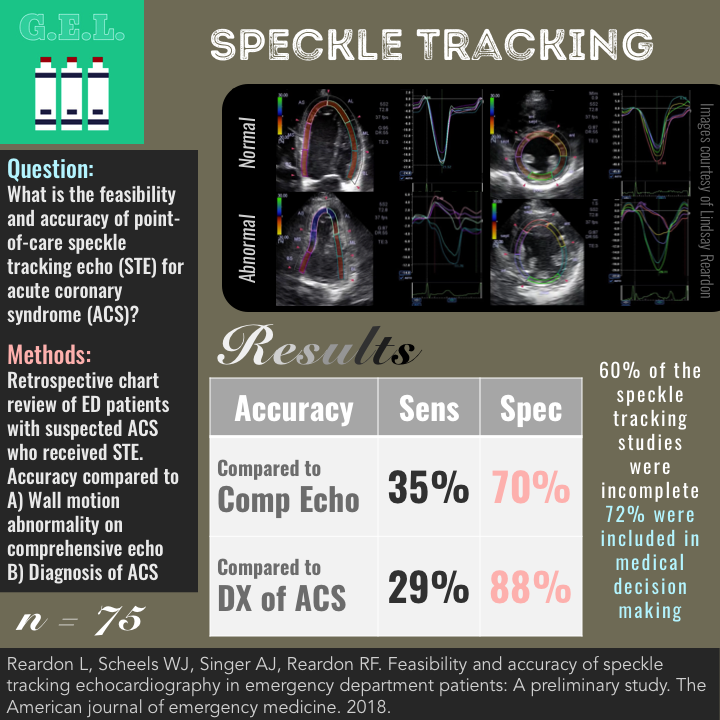 This is an ultrasound technology that recognizes tiny specks in the myocardium, allowing for a measurement of the movement of the heart wall. This has the potential to quantify the contractility of different parts of the heart, and therefore can be used to help diagnose numerous cardiac pathologies. At this time, not many people are using this in the emergency department. This is the first study to take a look to see if this is feasible and if it is accurate in diagnosing patients with acute coronary syndrome.